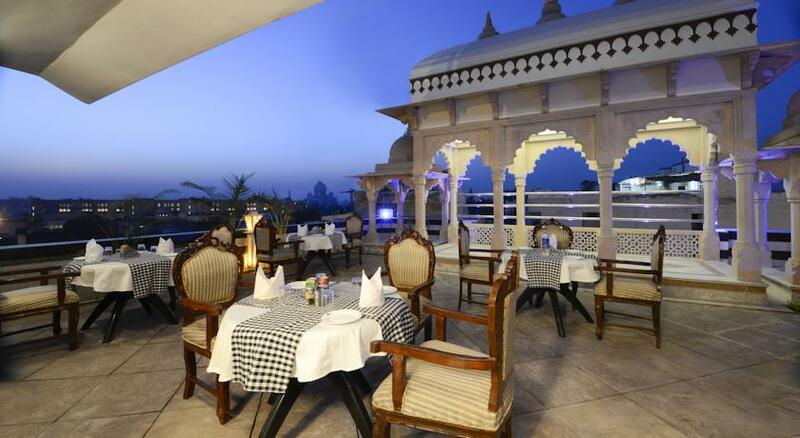 Hotel Mumtaz Mahal is one of the finest hotels located at a short distance of 1 kilo meter from the Taj Mahal, from where you can enjoy the view of the monument soaked in moonlight from the roof top dining area. The interiors of the hotels reflect the perfection and class that we provide in our accommodation options and services. Currency Exchange, Airport Transportation, Security Guard, Travel Counter, Backup Generator, Laundry Facilities, Doctor on Call, Parking, Room Service, Breakfast Services. Cable/Satellite TV, Iron/Ironing Board, Attached Bathroom, Toothbrush/Razor on Request, H/C Water, House Keeping, Air Conditioning Room, Wakeup Calls, DVD Player. User reviews for "Aura Mumtaz Mahal Hotel Agra"